The price has completed forming wave  inside wave A, as we expected. 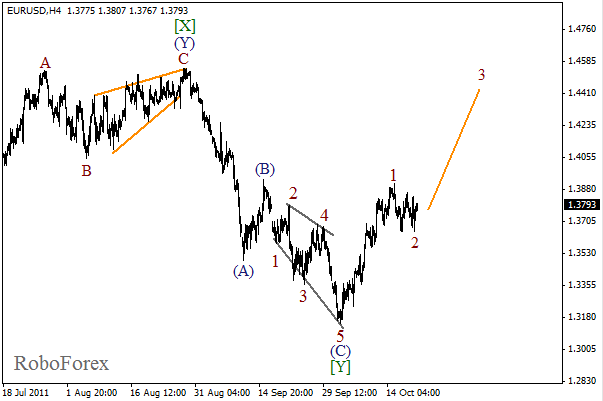 There is a possibility that the market may continue moving downwards while forming the third wave. 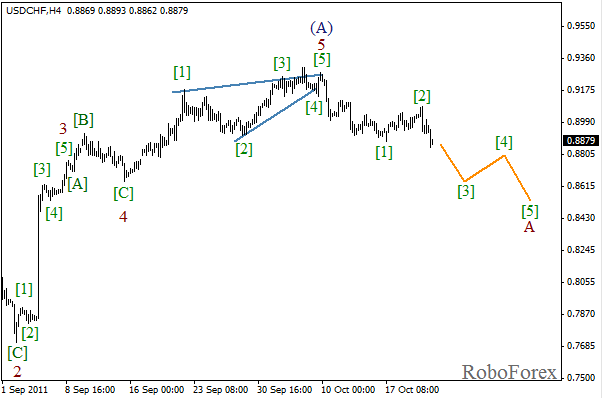 The first target for the bears is the level of 0.87. 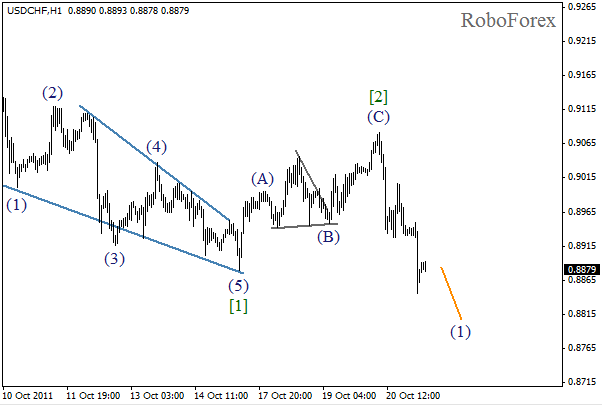 As we can see that on more detailed wave markings, which are shown on the H1 chart, wave  has been completed in the form of zigzag pattern. The price started forming the third wave. On the minor wave level we can see the formation of a descending initial impulse. In the near term, we can expect the price to continue falling down in wave (1). The second wave has been completed according to the forecast. It looks like the market started forming initial waves inside the third wave. The forecast of the price movement is still bullish. An approximate target for the bulls is at the level of 1.4350. As we can see that on more detailed wave markings, which are shown on the H1 chart, the second wave has been completed in the form of double three pattern. The price lacked just several pips to reach a new local minimum. 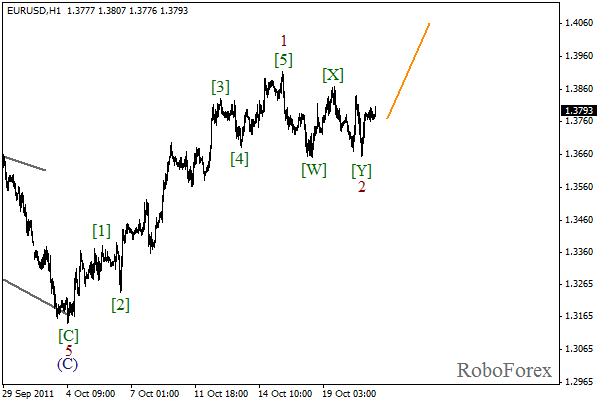 On the minor wave level, we can see that the market is forming a rising bullish impulse. The price may break the maximum on Friday.